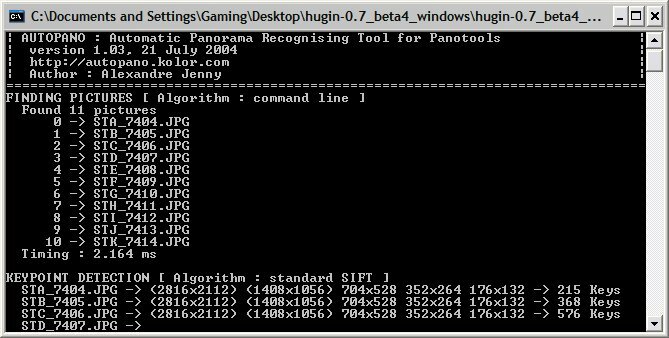 These zip files are then unzipped and the autopano.exe file is then moved to the panotools folder in the Hugin installation folder. This is basically all there is to it. The Hugin installation folder should be moved to something like C:\>Program Files\Hugin\ and a shortcut to hugin.exe should be placed on the the desktop. The next step is to setup up Autopano. Start Hugin and select File>Preferences. 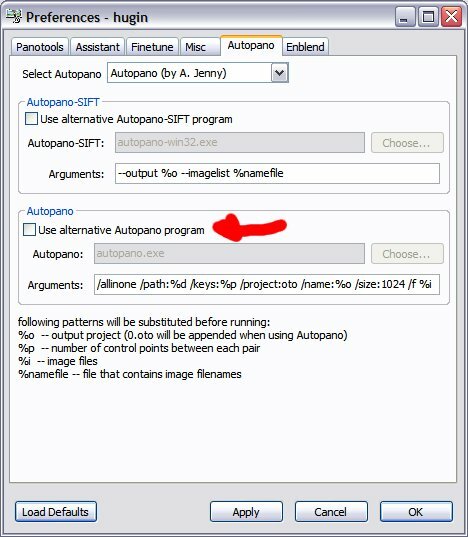 Under Autopano then select to use alternative autopano program and choose the autopano.exe which was placed in the Hugin installation folder earlier. 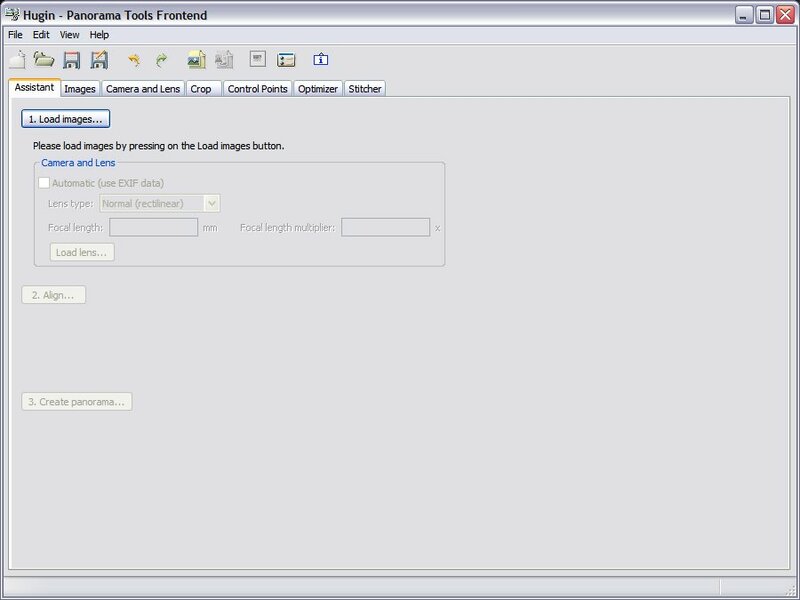 As soon as the images are selected the autopano program will try to determine how the are related and create the anchor points used in the stitching. The might look intimidating but is completely automatic. 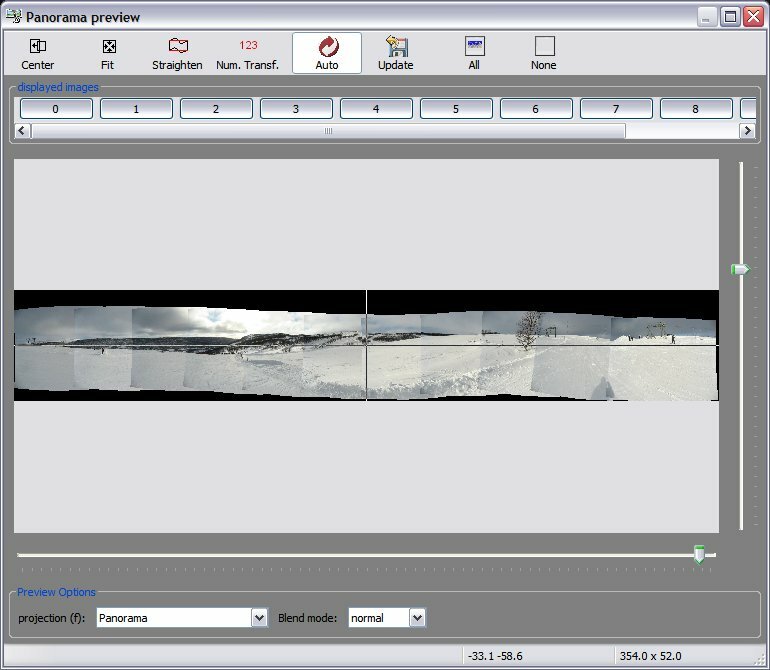 After autopano a preview is display where it is possible to see the images in different projections or center the images around another point. 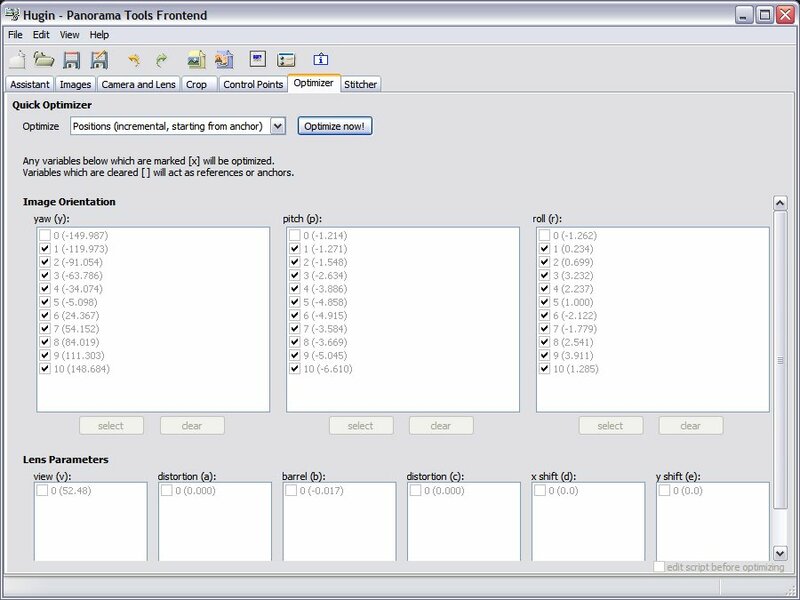 The next thing to do is to find the tab called “Optimizer” and run on the points found by autopano is the values are to high bad point can be removed in the tab called “Control points”. Now only the stitching it self is left. If important to use the nona stitching engine and select “Soft blending” which requires that the output is in tiff format as the gives the best result. Unfortunately tiff images are huge and the resulting tiff file in my example is around 190mb. 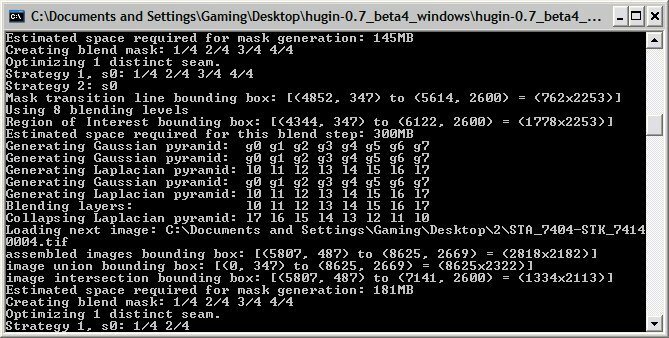 Furthermore this part of the process is quite CPU intensive and takes a few minutes on my dual core 3.1 GHz CPU. After the stitching the blender will kick in and make the edges between the images seem natural which is quite important to the final image. When the final tiff image is produced I usually crop the image to a get a cleaner image and smaller jpg image. This can be done with any modern image processing tool. I use GNU Image Manipulation Program (GIMP) which also free, open and available for both Windows and Linux. It has many of the same possibilities as Photoshop and non-power users will not miss anything when using gimp. 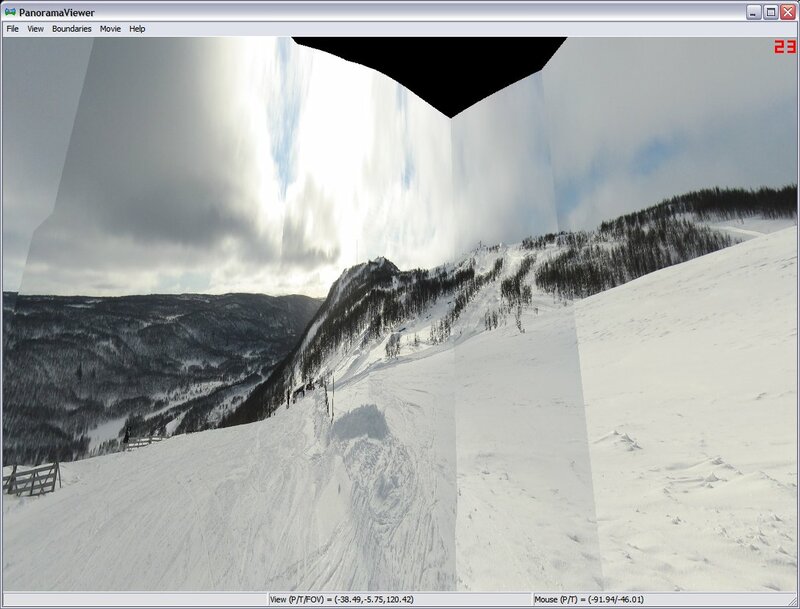 Within the Hugin zipfile a program called panoglview is located which uses 3D acceleration to view the image.